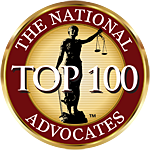 TN Divorce Attorney | Franklin Attorney | Family Law | Donna L. Green, Esq. Donna Green limits her practice strictly to Family Law. Her in-depth knowledge of Tennessee divorce laws can work to your favor. Because Donna Green accepts only a limited number of clients, you will receive the personalized attention that your divorce case requires. Donna Green limits her practice strictly to Tennessee Family Law and accepts a limited number of clients, so you will receive the personalized attention that your divorce case requires. Donna Green has been offering the services of a family law and divorce lawyer for more than 20 years. She ensures that her clients are fully informed about what each step of their legal battle will bring. For each client she represents, she brings tenacity and aggressiveness combined with compassion to ensure a positive outcome. While divorce and separation are paramount to her work as a divorce lawyer, Donna Green also helps clients with child custody, support and visitation cases. For clients who are separating, alimony and spousal support may be warranted, and the division of marital property is central to the services she offers. If parents are relocating and need to adjust their custody or visitation arrangements, she can help. She also works with parents in multi-state disputes regarding their children. Restraining orders, name changes, annulments, grandparent’s rights and paternity disagreements all fall under her comprehensive list of practice areas. If you are in need of a divorce lawyer, Donna Green can help. Divorce and other family law cases bring intense emotions. These cases need to be handled under the supervision of a skilled legal team. That team is found at the Beal, Green, Nations & Crutcher law firm. When you partner with Attorney Donna Green, you benefit from her years of experience in the field, as well as her compassionate approach to family law matters. She will work hard to ensure that you are fully informed of what to expect from the process, so you make wise decisions about how to proceed. Don’t face your divorce case without an experienced divorce lawyer at your side. Talk to Donna Green today, and ensure that you are fully protected and informed throughout the process. Divorce is rarely simple, but when a divorcing couple has a high net worth, the entire process becomes increasingly complex. Even when a prenuptial agreement is in place, the division of assets is never cut and dried. As an experienced divorce lawyer with over 20 years experience, Donna Green can assist with high asset divorces, to protect the rights of Donna’s clients, she has developed a network of trusted accountants, psychologists, appraisers, business valuators, and other experts who can work as a team to address complex issues. Whether your assets are monetary or real property, you need to be certain they are handled properly during your divorce. Attorney Donna Green has helped other high net worth clients handle the divorce process while protecting their overall financial strategies and their assets within the bounds of the law. Whether you are dividing real estate, ownership in a business, assets held internationally, retirement accounts or cash, you need the insight and services of a lawyer to ensure everything is handled correctly. One of the main tasks of a high net worth divorce lawyer is determining the value of the assets in question. The Law Office of Donna Green is well aware of the specific methods used for valuation, and the tax implications that high worth assets can bring. With her help, you can enter the divorce process fully knowledgeable about how the division of your property will affect you financially. In a high net divorce, it’s common for one party to try to hide assets by not disclosing all accounts. With the help of a qualified Williamson County divorce attorney, you can ensure that your team will aggressively seek those hidden assets to that the outcome of the divorce is as equitable as possible. By tenaciously looking for these types of hidden assets, Attorney Donna Green will ensure that you are fully protected. Don’t enter the divorce process with your financial future on the line. Trust the team at the Law Office of Donna Green to work hard to ensure that your property and financial future are protected by doing their full due diligence to find and properly divide all marital assets.